BMC racing air filter for CB1000R Neo Sports Cafe. Design Similar to BMC air filter but with 25% performance increased (filtration material - manufacturer source). Attention, the racing range (identifiable with an orange band) is reserved for circuit use. 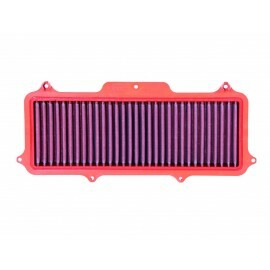 BMC performance air filter for CB1000R Neo Sports Cafe. Performance optimization through maximum airflow with high-quality filtration. Washable and reusable filter for a very long time. 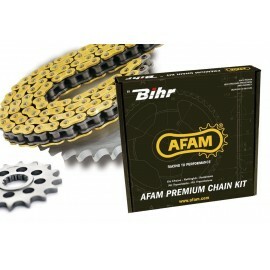 High quality chain kit manufactured by AFAM for your CB1000R. Precision machining of sprockets for optimum service life. Standard crown, reference AFAM 530 type XHR2. 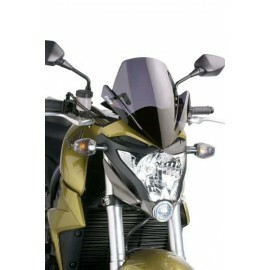 The Puig New Generation Naked windshield provides aerodynamism and protection against the wind for your Honda CB1000R (2008 to 2011 series).